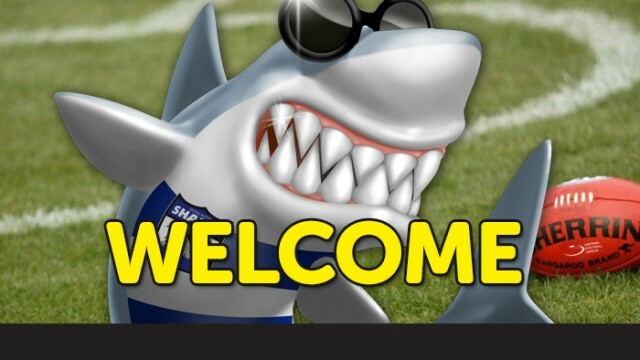 The start of the 2018 footy season has arrived and all of us at Shark Park are looking forward to a bumper season following a strong recruiting campaign over the summer by our football committee. So, a warm welcome to Doncaster for all of our new players and for those returning home from elsewhere. We look forward to each of you enjoying and improving your senior footy in the friendly atmosphere of a club that’s very, very hungry for Divvy 1 finals success! And we’ve opened the season brightly with a fighting “blue-collar” away win over nemesis Blackburn. Here’s a mini-profile of our new playing list additions for 2018 – with a touch of poetic license! Jake Hall. Comes to the Sharks from the Bendigo league with a gun reputation – footy, not firearms! A silky and pacy mid-fielder who likes a goal, Jake has done it all at powerhouse club Strathfieldsaye – premiership captain, multiple B&Fs and league representative. Looking forward to him bringing all of his skills and achievements to Doncaster and can’t wait for that “Serge” from the midfield! Welcome aboard, Jake. Harry Conway. The second of a treble from Strathfieldsaye, Harry is a young, athletic and very talented, tall forward whose football potential has landed him currently on Richmond’s VFL list. After two years with Bendigo Pioneers (TAC) he has since played in 2 senior premierships with teammate Jake Hall and won the Bendigo leagues’ rising star in 2015. We’re just delighted to have Harry in Shark colours, when his VFL commitments allow it! Tom Bartholomew. Tommy arrives at Shark Park as an experienced goal-kicking forward with a great record in Victorian country football. The majority of his career has been firstly at Foster and then in Bendigo at – yep, you guessed it – Strathfieldsaye where he’s played in multiple premierships with our other “Bendigo” Sharks! He’s strong overhead and a “pretty fair kick” so just deliver him the pill and he’ll get the job done! Great to see you on board, Tom. Todd Van der Haar. Yes, he’s that prized recruit we’ve had on the radar for quite some time. Todd has football pedigree, being the son of Essendon legend Paul, but he’s forging his own footy career and we’re absolutely delighted that he’s committed to the Sharks from 2018 onwards. Just 22, Todd’s already played at Old Xavier and spent the last two seasons with Casey Scorpions picking up a VFL development league B&F on the way. His size, skill and mobility brings a versatility to play in numerous positions including the key CHB, CHF posts. A big welcome to Doncaster, Todd, and to your family. Looking forward to you becoming a 250+ game champion of the club. Tyson Hartwig. Another great acquisition for the club, Tyson has built a strong reputation as one of the best key backmen in country Victoria (All Australian country rep). Previously a club champion and multiple B&F winner at Wangaratta Rovers, “the Force” comes to us from the Essendon Doutta Stars in the Essendon District league. His skill, experience and no-nonsense defense, honed from considerable league-representative football, will be highly valued in our backline. Very pleased indeed that you’re now a Shark, Tyson. Jessie Finnen. “The Hulk” has spent most of his footballing life to date at the Shepparton Swans in the strong Goulburn Valley league. In 2014 he brilliantly captained the Swans to a premiership. As a strong-bodied (some say “ripped”) mid-fielder, he will undoubtedly provide us with that extra engine-room grunt which went missing at times last season. Great to have you as a valuable member of the team, Jessie. Blair (and Josh) Whelan – more gold from Bendigo! Blair is a quick and skillful onballer with the added advantage of being 190cm tall. As a bit of a journeyman, he has played at North Ballarat (VFL), at Mt Eliza and most recently with South Bendigo where he finished top 3 in last year’s B&F. A warm welcome to the Leyland, sorry, Whelan brothers. In the wise words of that infamous bushman, Russell Coit – when you encounter Sharks it’s a pretty good sign that the road goes no further! So we hope, boys, that you have many years of productive footy here at Doncaster. Angelo Rambaldi. Previously a close-checking defender at Doncaster, “Rambo” has spent the past two years in the VFL at Collingwood and then Coburg. He now returns to us as a better, more-experienced young footballer whose versatility will add valuable flexibility to the team. A welcome return to the Sharks, Rambo, and well done on the ‘dvc’ appointment. Jesse Liebelt – Jess is a returning young Shark premiership player who last year earned a second premiership medallion at Donvale in 4th division EFL. Ready to now challenge himself in the hurly-burly of Divvy 1, we look forward to “Turbo Toes” again making those lightning dashes along the wings of Shark Park! Welcome home, Jesse. Maurice Contreras – could this be the return of the prodigal son? After 2 years of slotting goals from the flanks of neighbouring Templestowe, popular “Mo” (just call me “Better-than-Betts”) has now seen the light and returned to a club experienced in grand final victories ! Pleased to see ya back, Mo. Other Newcomers. And a very warm welcome to Doncaster senior footy for the other players who have joined us for the first (or second) time, perhaps with a lower profile or from the U19’s. Be committed, enjoy your footy and work hard to develop those ball skills – remember, the coaching staff have eagle eyes. So here’s to a successful 2018 Doncaster season – both individually and team-wise – for all our footballers. And if you need help, please approach your team manager or the player’s new leadership group ( Chris Annakis, Michael Fogarty, James Siakavallis Angelo Rambaldi ). See ya’ at the bar … Cheers … GO SHARKERS ! !